The HIT2GAP solution includes a suite of modules which utilise the 'big data' which has been gathered, cleaned and stored by the core platform. Each module generates specific information about the building. Although they can be used as stand-alone units, most of the modules become even more powerful when they are combined, because each module can use the output data generated by the other modules. Each module has specific functionalities, tailored for particular stakeholder groups associated with the building, including the owner, tenant, facilities manager, visitors and other users.The modules provide a range of types of information, and - thanks to the open nature of the platform - there is potential to extend this, through the existing services of third party software providers. Third parties can tap into HIT2GAP’s open protocols either to present information in more effective ways or to create new types of information that are not provided by the core modules. The core platform will act as a market place, similar to smart-phones, where any developer can provide 'apps' to address a specific need. 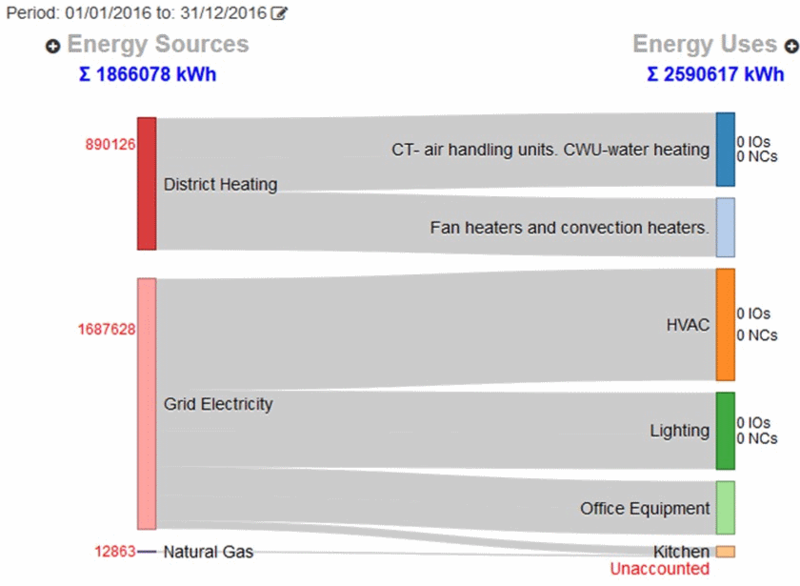 This module provides energy demand forecasting to support demand response and budget control. 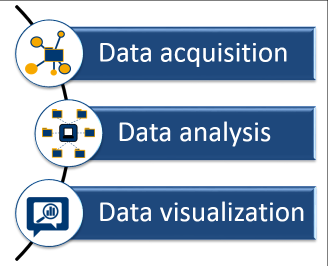 multiple sources as well as data pre-processing and handling mechanisms that guarantee the data quality and consistency required by data processing and mining methods. This module is especially intended to support energy budget control (monthly forecasting), demand response (short-term forecasting, such as hourly predictions) and performance measure and verification protocols (IPMVP, ISO 50015:2014) by the obtaining energy consumption baselines. aspects of an Energy Management System (EnMS) in any building or building stock belonging to Organisations of any type and size.The EM module is an adaptation of the Enerit commercial cloud-based ISO 50001 software which, unlike energy monitoring and energy data reporting. The EM module guarantees a systematic approach to Energy Management in compliance with the ISO 50001 international standard. It is best described as asystems, deals with all of the opportunities, plans, actions, communication and documents needed for ISO 50001 in a workflow-based solution. Management Module that manages the people and activities involved in attaining and maintaining ISO 50001 or just following good Energy Management practice. ModSCO is the acronym for Model-Supported Control. This is a web application currently in development within the IRUSE group of the National University of Ireland Galway (NUIG). The main purpose of this tool is the implementation of Reduced Order Models (ROM) to assess HVAC performance of buildings by offering simulation capabilities to a number of users/stakeholders in order to analyse and optimise HVAC control strategies in a targeted zone of a building. The models have been developed using the MODELICA® modelling language, reusing the Modelica Buildings Library and extending the R-C models first published by Bacher and Madsen. ModSCO is an application developed as part of the Building Performance Simulation (BPS) module within the HIT2GAP project. This module gathers different tools/simulation software assisting HIT2GAP potential users with a number of performance assessment methods (PAMs) to evaluate differences, between a pre-defined expected performance and the actual energy performance of buildings. This initial version of the ModSCO tool targets three different user profiles: (1) specialised, (2) managerial, and (3) technician. These three archetypical user/roles are chosen linked to specific user stories and are used as drivers for the development of the web application. In the future, and based on the feedback received, the tool might evolve to a full-modular, permissions-based application that can be configured according to organisational needs, personnel roles and responsibilities, thus not strictly following the user-stories traced in this first release. There is a strong relationship between energy performance and indoor environmental quality, which can play a significant role in the performance gap. In the HIT2GAP platform, this module provides the means to identify locations within the building where indoor environmental quality may fall below levels prescribed in international standards. The identification of such point (and the corresponding level of discomfort) supports decision making by facility managers regarding user’s complaints and potential solutions such as changes in furniture layout, changes in building operation and adaptations or retrofit of building/systems. On invocation, this module (www.esru.strath.ac.uk/liveservices/hit2gap) allows the user to retrieve an ESP-r model and associate it with standardised performance assessment methods (PAMs), which require no user interaction after submission. The module then initiates the model calibration process, which requires further data retrievals from the platform, before invoking the selected PAMs and returning the assessment outcomes. evaluation of indoor air quality and identification of locations of poor quality based on CO2 concentration. This calibration module, named Calibro (www.esru.strath.ac.uk/liveservices/hit2gap), allows the automatic calibration of a simulation model based on data input-output pairs for multiple simulation cases corresponding to judicious input parameter perturbation. While these input-output parameter pairs will typically depend on the intended application of the BPS tool, they have no particular meaning within Calibro. The calibration method also requires measured data corresponding to performance targets (e.g. indoor conditions, energy consumption) and time-matched weather boundary conditions. Using these data, Calibro constructs an emulation (meta-model) of the connected tool and uses this to determine the input parameter values that will cause the tool to best reproduce the measured performance. The GapReasoner is a module based on uncertainty analysis (UA) and sensitivity analysis (SA) of building performance simulation. The module provides the possibility to run simulation models with a set of uncertain input parameters (e.g. building parameters, climate conditions, occupancy). The simulation results (e.g. energy consumption) are represented by probability distributions, according to the input probability distributions of the uncertain parameters. 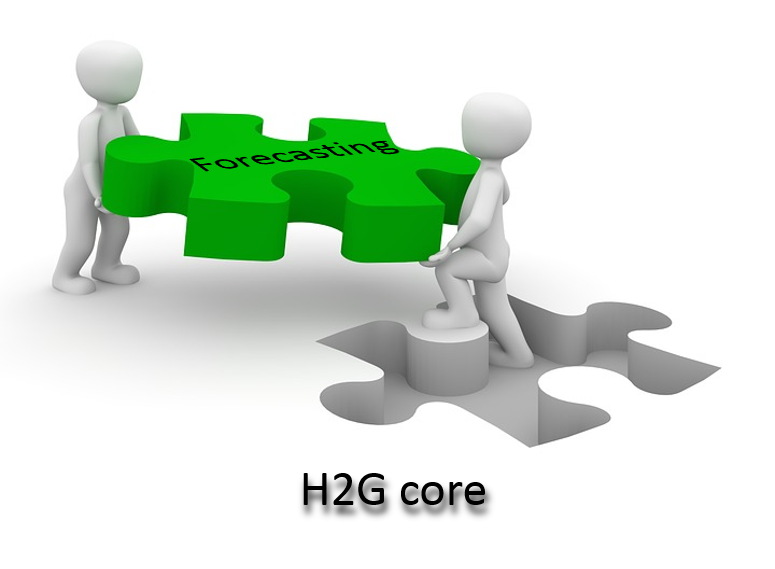 Making use of uncertainty analysis methods gives the user a more reliable simulation result, as input uncertainties are taken into account. Additionally, the module provides methods for sensitivity analysis, which allows for determining the impact of varying input parameters on the output variation. More precisely, it is estimated whether, for example, the room temperature set-point or the solar g-value of the windows is more influential for the energy consumption of a given building. The module uses this information to formulate messages to the user, which can help identifying reasons for an energy performance gap. For this also results from fault detection and diagnosis (FDD) are used to adapt the probabilities of system related reasons accordingly. .
management of the energy coming from renewable sources and the effective integration of this into the installation. This module, named REnSIM, executes simulations using the following critical design parameters: historical meteorological data, building space availability data, energy use profiles and pricing data, specific RET configuration technical data and RET equipment installation data. It also leads to maximisation in the profitability of the installation and the early detection of losses and malfunctions. The module requires data from the solar thermal system involving the specifications of the system, the location of the installation, the technical features of the building and the usage. REnSIM has been created with generic, open technologies and has no dependencies on any special use cases such as IFC files. 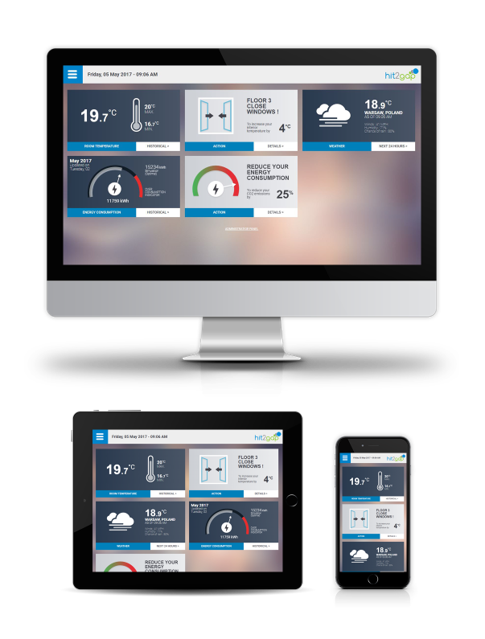 The visualisation modules are dedicated user interfaces for different groups of end users, most notably for technical users and non-technical building occupants. Several modules have their own graphical user interface, such as modules related to building performance simulation, behaviour modelling or fault detection. The purpose of these user interfaces is to provide a user-friendly configuration/presentation. Two FDD algorithms will be used in HIT2GAP: a method based on Decision Trees (ML) and a method based on a Density Based Clustering Algorithm (DBSCAN, PCA). HIT2GAP has developed a facility for fault detection and diagnosis using principal component analysis. This works by comparing current data against a reference model which has been constructed from historical data. The module behind this service, known as the 'FDD-PCA module', analyses the values and variances of the incoming data from a building's sensors, looking for any instances where the incoming data does not fit the model. If an abnormal set of readings is identified, the contribution of each variable is analysed in order to determine which variables were connected with the faulty reading, enabling the nature of the abnormality to be identified. The Fault Detection and Diagnosis – Principal Component Analysis module (FDD-PCA) is a Data Mining and Knowledge Discovery (DMKD) module that utilises the HIT2GAP integrated data access to offer enhanced monitoring capabilities that evaluate a building’s behaviour with respect to normal operation. The analysis is based on a statistical model (FDD model) which is trained beforehand with historical data corresponding to normal operation condition (NOC). This reference model is built on the basis of multivariate statistics theory, known as principal component analysis (PCA). It the user to identify the correlation among all variables selected for monitoring, including their dependencies on the energy consumption, and finds the statistical bounds of such dependencies. This approach allows the definition of two simple monitoring charts showing the independence of the number of variables being monitored, and provides visual information about the building behaviour. Comparison of new observations to the reference model leads to detection of abnormal operating conditions (AOC) as faults and failures in sensors or technical equipment or user misbehaviours. In the case of detecting a fault or an abnormal condition, the module allows the user to isolate the variables causing this. Based on this information, maintenance staff can identify causes or explain the reason of the detected fault more easily. This module is especially intended to support continuous monitoring during the implantation of energy management procedures as ISO50001 or ISO 50006:2014 (energy performance) and also can be used to support audits (EN16247-1, ISO 50002) and performance measure and verification protocols (IPMVP, ISO 50015:2014). The system oriented Fault Detection and Diagnosis (FDD) module uses machine learning based (ML) methods developed at FISE. These methods continuously analyse time-series data from the core platform and provide a message to building operators if anomalies are detected. The module is implemented on the MONDAS (MONitoring and Data AnalysiS) platform developed at Fraunhofer ISE for acquisition, management, real-time analysis and visualisation of time series data. The module allows classification new measurement data of selected HVAC systems as fault-free or faulty after having being trained with labelled data. Additionally, the methods support diagnostic tasks by identifying the sensors responsible for deviations from a nominal (fault-free) operation. To enable the detection of several classes of faults (e.g. sticking valves, missed set temperatures, schedule mismatch) in different systems (e.g. AHUs, heating circuits), the monitoring data must include predefined minimal data sets and conform with data quality requirements (resolution) Furthermore, training data sets must be provided, i.e. specified during configuration, containing pre-classified faulty and fault-free data for the respective system or system type. The aim of the behaviour modules is to deliver user behaviour information to the building users, to highlight energy wastage and to suggest behavioural and systemic changes. The video below explains in more detail. The Behaviour Module (BM) will provide a better understanding of the drivers of behaviour, with a focus on the users’ state or condition. In particular, the BM will take into account building meter readings and the analyses of user behaviour inside the building (movements, occupancy, etc.). This aspect will serve to understand, model and influence users’ behaviour with respect to energy consumption indicators. Another key point makes reference to the fulfilment of energy standards and comfort levels. With this aim, the proposed module fully integrates indoor comfort and health issues, especially regarding the following aspects: (i) improving indoor environmental conditions considering thermal preferences and satisfaction of occupants, which can be a positive influence on productivity; (ii) improving ventilation rates to reduce the risk of sick building symptoms (respiratory illness, allergy and asthma symptoms); (iii) reducing occupant-related anomalous energy use and related CO2 emissions; and (iv) providing continuous monitoring of indoor air quality. The main benefit of this module is to reduce the energy consumption while considering user behaviour and ensuring comfort levels. Moreover, the user behaviour module will inform users about detected inefficiencies in order to involve them in the learning process, to make them aware of issues, and to foster sustainable behaviour strategies in buildings. The BM is an application module that produces recommendations about the energy wasting states of interactions in the whole system and sends messages to facility managers and other targeted users through the use of semantic reasoning. The BM makes use of the BM ontology which represents all parts of the system (the definitions and instances of the building architecture, the building systems, the working schedules, the occupants, etc. ), the relationships between the parts and semantic rules defining energy wasting states which have been discovered by the Knowledge Discovery in Databases (KDD) process. The event-driven User Behaviour Module (BME) is a typical application providing some distinct functionality, related to the tracking and reporting of the behaviour of the building users. In the BME “behaviour” is considered in terms of events, i.e., specific situations that reveal problematic user behaviour, mainly in terms of energy efficiency. This said, in some cases the event may result in an energy saving practice which is again recorded and credited as such. Control: to support manual or automated, behaviour event- driven, control decisions. In the course of HIT2GAP the first three functionalities will be demonstrated; no event driven control action will be implemented. This project has received funding from the European Union's Horizon 2020 research and innovation programme under grant agreement number No. 680708.